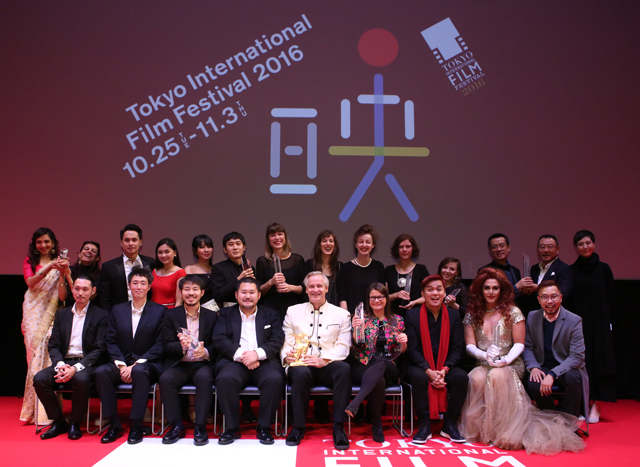 Thank you for your interest in the 29th Tokyo International Film Festival (TIFF). Winners to the awards at the 29th TIFF were announced today. We ask all members of the media to help us share this exciting news with all film fans across the globe. The first announcement of the winning film in the Competition section was the Audience Award—Die Beautiful. The winner was announced prior to the Closing Ceremony and Director Juan Robles Lana stood up and waved to the cheering audience.